Such a pretty dress! I love the fabric, too. Your dress looks great, the fabric is gorgeous. I just love the shoulder tie detail. I had to go and check my Pinterest boards once I saw your post and discovered (to my horror/shame) that I pinned Casey's tutorial 3 years ago. I know I'm a procrastinator, but that's ridiculous! Ah, I feel much better now! Thanks for the pattern suggestion. I picked up Butterick 5982 with ideas of adapting it to tie shoulders. Not sure if it will work with princess seams, but I may give it a go once I have a few more garments under my belt. That dress is beautiful! The shoulder detail is so simple but so effective and the fabric really makes the dress. The colour really suits you. cute! i was looking at the new maison fleur patterns and there's a very similarly shaped top and thinking how long it would be as a dress! I don't believe it! I saw this pattern a day or 2 ago and pinned it on my Pinterest board to try and hunt down and today bought some fabric that I hope will be perfect!! Your dress is lovely...you clever lady! If you can I shall be eternally grateful! This little sundress turned out wonderfully! Great job, and it is a nice thing to see something with a bit of an old fashioned twist. One does not see shoulder ties anymore. Charming! I am obsessed with shoulder ties at the moment and have just completed a dress of my own that features them. Your sun dress has turned out very well, simple but feminine and perfect for holidays. Well done. This is gorgeous! Isn't it lovely to be thinking of making, and wearing, summer dresses?! I have that same fabric (I had to buy after seeing it here! 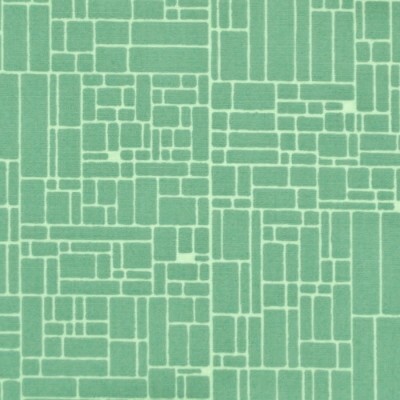 ), and I'm thinking of making a wrap dress with it. I love the white edging you've used, that's a great idea. Lovely, Those little ties are too cute. Ooh what a fun and summery dress! And one of those perfect colors for you! I love that you paired it with a holiday-friendly skirt. I sometimes forget about that and then find myself on a trip with several full cotton skirts and absolutely no desire (or ability to!) iron. Yak! The print is so great on this, too. 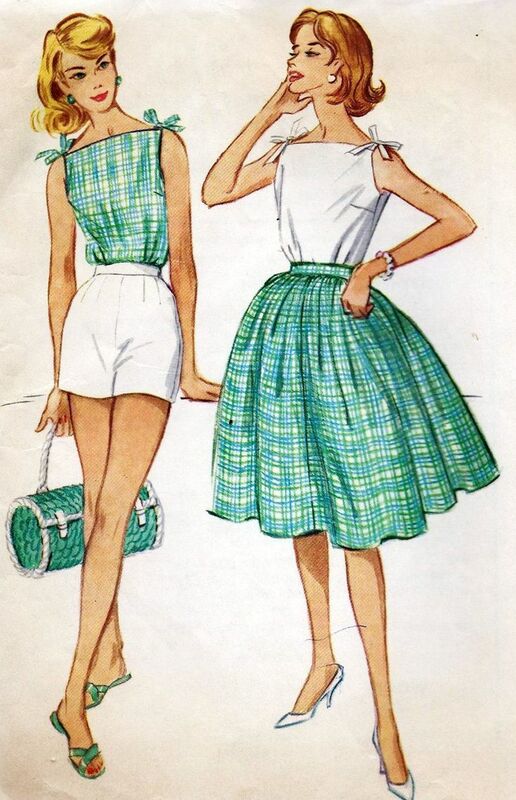 I've always loved shoulder ties, I'm going to have to check out that blouse pattern too! I do live the duck egg version - it makes the pattern seem more subtle. I think we need more head tipping forward photos! What a lovely fresh summery dress. Gorgeous as always. You're such a great seamstress. This is super-duper cute! It screams summer! Really love the fabric and the dress. Unlikely to find it but I'd love to try out a copy of that pattern. I've a list, which I keep adding to. Oooo I love it, I wouldn't mind using a floral with the geometric, still keeping the 50's vibe, lovely work Jane. You did a good job drafting the bodice Jane. The finished garment is very pretty and "summery."